A powerful and thought-provoking true story, “Just Mercy” follows young lawyer Bryan Stevenson (Jordan) and his history-making battle for justice. After graduating from Harvard, Bryan might have had his pick of lucrative jobs. Instead, he heads to Alabama to defend those wrongly condemned, with the support of local advocate Eva Ansley (Larson). One of his first, and most incendiary, cases is that of Walter McMillian (Foxx), who, in 1987, was sentenced to die for the notorious murder of an 18-year-old girl, despite a preponderance of evidence proving his innocence and the fact that the only testimony against him came from a criminal with a motive to lie. In the years that follow, Bryan becomes embroiled in a labyrinth of legal and political maneuverings and overt and unabashed racism as he fights for Walter, and others like him, with the odds—and the system—stacked against them. The film is being produced by two-time Oscar nominee Gil Netter (“Life of Pi,” “The Blind Side”) and Asher Goldstein (“Short Term 12”), with Mike Drake, Michael B. Jordan, Bryan Stevenson, Gabriel Hammond, Daniel Hammond and Niija Kuykendall serving as executive producers. Cretton is helming the film from a screenplay he co-wrote with Andrew Lanham (“The Glass Castle”), based on Stevenson’s book “Just Mercy: A Story of Justice and Redemption.” Published in 2014 by Spiegel & Grau, the book has spent 118 weeks on The New York Times Best Sellers List, and counting, and was named one of the year’s best books by a number of top publications, including TIME Magazine. For the book, Stevenson also won the Andrew Carnegie Medal for Excellence, an NAACP Image Award, and the Dayton Literary Peace Prize for Nonfiction. 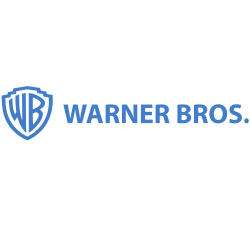 A presentation of Warner Bros. Pictures, a Gil Netter Production, an Outlier Society Production, “Just Mercy” is slated for release on January 17, 2020, and will be distributed worldwide by Warner Bros. Pictures.